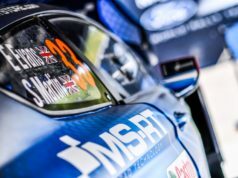 Kris Meeke – Paul Nagle topped the timesheets on a shakedown stage not entirely representative of the difficulties ahead this weekend on the Corsican tarmac. The Tour de Corse’s 5.45 kilometre-long shakedown stage was unusual in that it featured many deep cuts. And with the heavy rain that has fallen on the island in recent days, the corners proved to be especially greasy. In conditions like these, you had to be among the very early starters to have any hopes of setting a good time. The road surface gradually became more and more covered with mud. Kris Meeke, fourth in the running order, went to the top of the timesheets on the first run. 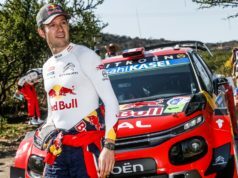 “It was a tricky shakedown, with yesterday’s rainfall and since it was getting muddier and muddier, there was no point in doing any more runs. Especially as we’re not expecting grip conditions to be like this in the rally itself. Nevertheless, there might still be damp patches in the wooded sections tomorrow morning. I felt comfortable in the car today, I was able to handle the grip conditions, and that’s what matters most to me”, Meeke said. 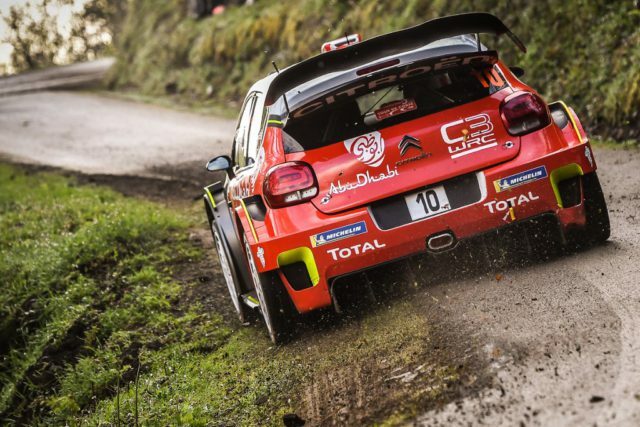 Since the greasy conditions are not expected to feature in the rest of the rally, the Citroen’s crews decided to limit their efforts to the three mandatory runs. Following this evening’s ceremonial start in the centre of Bastia, the real action gets underway tomorrow, starting with the heavyweight challenge of La Porta – Valle di Rostino (49.03km). 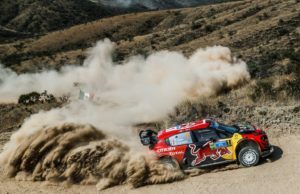 Hyundai crews were on the places from second to fourth as Andreas Mikkelsen was in front of his teammates Thierry Neuville and Dani Sordo. Sebastien Ogier was fifth, followed by Elfyn Evans. Sébastien Loeb took seventh and he was the only driver to improve on his second run. Toyota’s Ott Tanak, Jari-Matti Latvala and Esapekka Lappi rounded off the top 10.